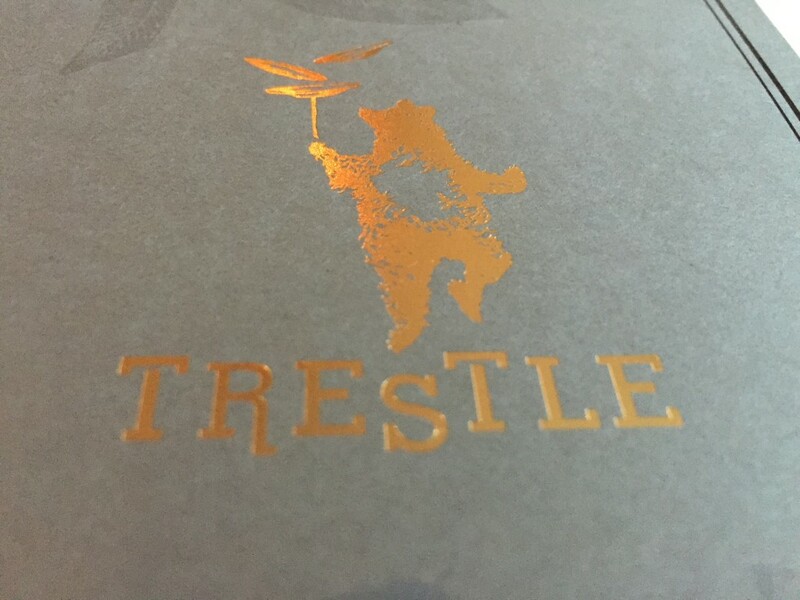 enter Since opening in late April, Trestle has become one of San Francisco’s most talked about new restaurants. While I dined with my girlfriends, I can imagine this place would be the perfect date spot. Attention guys: if you want to impress a gal without breaking your wallet, this is your jam! In a creative effort to handle limited space and the constraints of a small kitchen, executive chef Jason Halverson offers a nightly prix fixe menu. 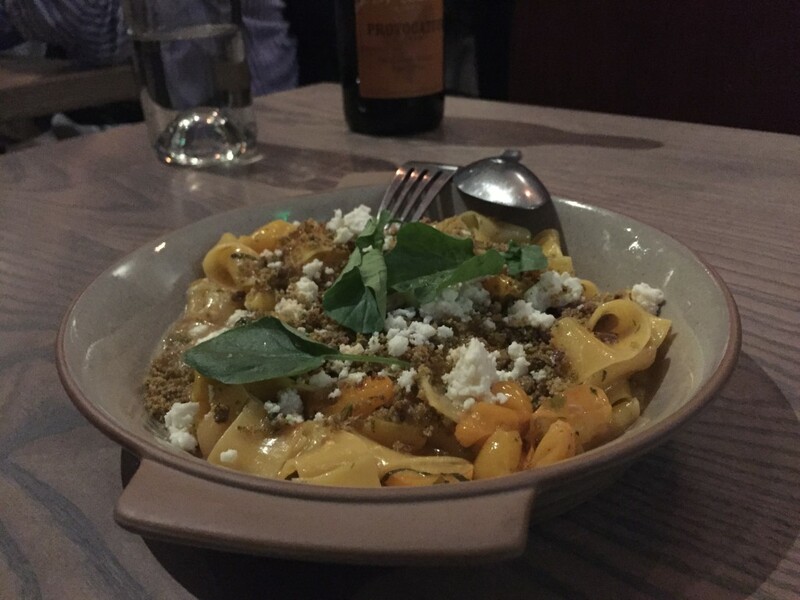 For $35 diners can enjoy a three course meal, and for $10 more can add a pasta course. Each course comes in only two options, allowing Trestle to use the freshest farm-to-table ingredients while still remaining affordable. enter Between the three of us girls we were able to try everything on the menu for that night. 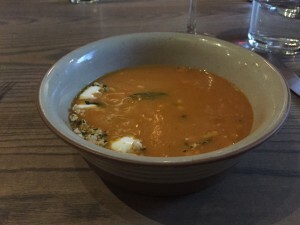 The choice of starters was either Applewood Smoked Salmon or a Red Kuri Squash Soup. The chefs have a very modern approach to their plating, yet the final product and flavors remain approachable for the most part. Squash soup is one of my all time favorites, so I am a bit biased here, but it was delightful. The waiter poured the soup over a bowl of maple crème fraîche and almond-sage crumble, turning the service into an art. The mix of ingredients with the salmon was a bit too much – rye crumble, cucumber, dill and pickled jalapeno. 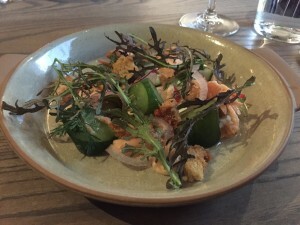 I enjoyed the crunch from the rye combined with the salmon and cucumber, but I just could not get past the pickles or jalapenos and I LOVE pickles on their own. acquistare viagra online generico 200 mg a Verona If you are thinking about adding the pasta dishes, just do it. 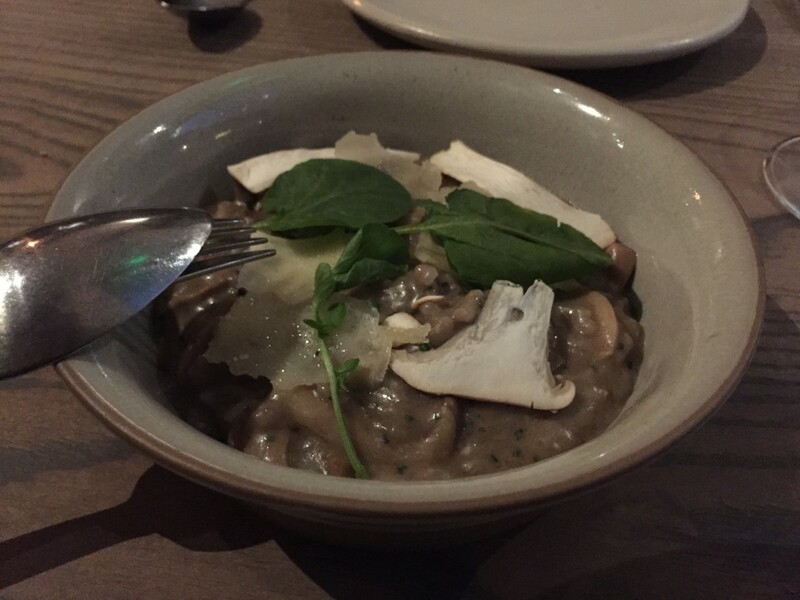 I don’t know which I liked more the Mushroom Risotto or the Pappardelle Pasta. Both dishes had a taste of home and freshness about them that I find irresistible, not to mention the comfort found amongst familiar flavors. The main course included a Crispy-Skin Branzino on a bed of corn and polenta panisse. 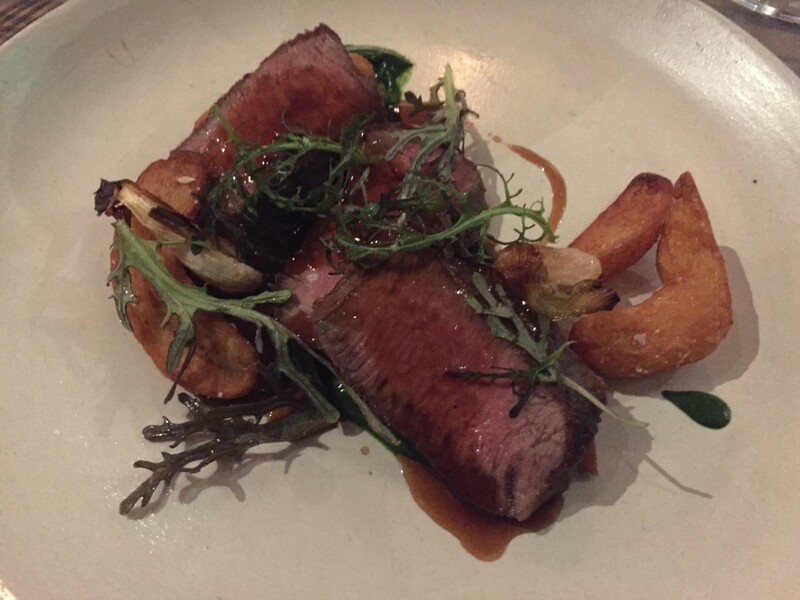 I opted for the Thyme-Roasted Flat Iron Steak served with fingerling potatoes, spinach, charred onion, and beef jus. There is no wow factor here, the food is just good and there is something to be said about a meal that feels as though you are eating in someone’s home rather than a restaurant. 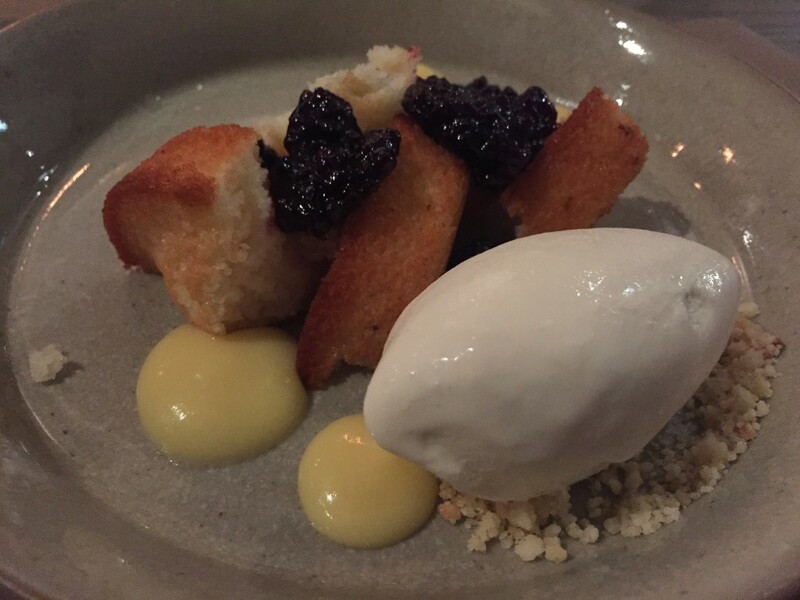 Dessert for me was the Brown Butter Financier cake with lemon curd, blackberry compote, and vanilla ice cream. If you are like me you don’t know what financier cake is it is basically a fancy name for sponge cake, and I thoroughly enjoyed every last crumb. I just love a dish where you can savor all the ingredients in one perfect bite! 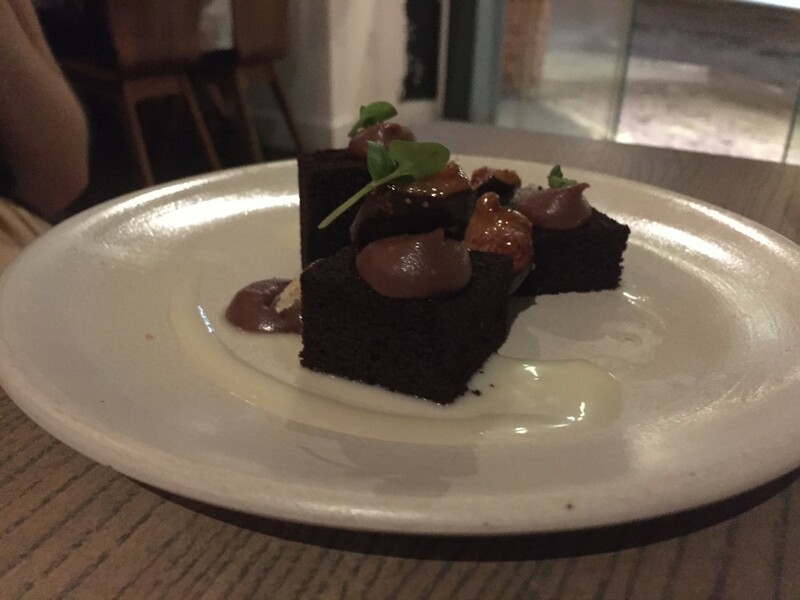 The other dessert was Chocolate Devil’s Food Cake with honey-milk chocolate pudding, black mission figs, and honeycomb. Delicious as well – you can’t go wrong with mission figs!